Walking Dead has become a giant success that is almost universally loved by people, almost. George Romero is not a fan. Romero is considered the father of the modern zombie. He brought the world Night of the Living Dead, Dawn of the Dead, Land of the dead, and his work was essential considered zombie canon for decades. Now there have been tons of other zombie flicks, but none has been as successful as the franchise that Romero has built and forged over the years. You could make an argument that Sam Raimi's Evil Dead franchise is pretty successful and it does have an army of zombies in the movie Army of Darkness, but that wasn't necessarily about zombies, but more so about an evil spirit inside of a book. So why doesn't Romero like The Walking Dead? To answer that question you simply need to look at the differences of the zombies from the universes with which they live. Romero had a vision of what zombies should be, and even more specifically why they should contract the zombie plague itself. Romero's zombies are the main characters of his films. In Romero's original Dawn of the Dead (not to be confused with the fast moving zombies in the remake with Ving Rhames. )the survivors hold themselves up in a suburban mall. While in the mall, Romero has cut dialogue scenes watching the zombies ride escalators in the mall and aimlessly walking around it, because the zombies remember hanging out in the mall, and it was a place that the zombies memory told them to go. That is right, zombies have memories in his world! He takes the spiritual route to why the zombies exist in the first place. "When there is no more room in hell, the dead will walk again!" Is one of the most terrifying lines I have ever heard in cinema, and also sets the tone for the kind of zombie that George Romero had envisioned. He even took it a step further in the 2005 movie Land of the Dead, featuring Simon Baker, Dennis Hopper and John Leguizamo. The zombies start using tools! Land of the Dead features an assault rifle wielding zombie and has zombies teaching each other how to use tools. Romero's Zombies are not the raging berserker's that have caught a contagion but are actually zombies because of some magical spiritual force has altered them into flesh eating monsters. This is a far cry from, "walkers", "herds" or the zombies that mindlessly walk off cliffs in World War Z. There is no talk of a cure, or infection in his films outside of being bitten by a zombie. God just got tired of people and decided to reanimate our dead bodies. This is why Romero hates the walking dead. It doesn't have a soul to the zombies. 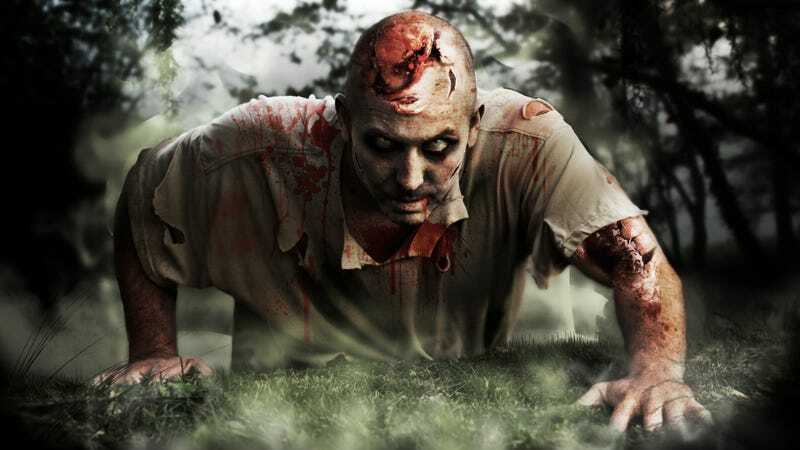 The new generation zombies created today all stem from viral infections. In World War Z, at least in the book, the zeds, z heads, or zach, as they call the zombies, are all suffering from a plague that is decimating the world. Now this is something that humans at least have an idea on how to fight. It brings a hope that you can survive this if you know what to do, or how to avoid being infected. In the universe Romero created, how do you fight gods will?! The Walking Dead, and 28 Days Later, also went the route of rolling with a viral infection for essentially the same reason, hope, and the idea that people are more willing to watch something that gives you the idea you can win, while Romero's world is truly bleak, and wrought with despair. I am a huge fan of both sub-genres of zombies. Romeros world has it's own appeal to watching his version of the zombie apocalypse, but what Romero has done should not be taken for canon anymore than what the current array of zombie stories have decided to portray. You can have your cake and eat it too. You should just know what the difference is.